We shall be installing ourselves tomorrow and monday in the yellow room at the beautiful Chapel in the Garden. Expect to see an impressive collection of work from artists who have been brought together for this very unique exhibition. There are subtle connections between several of the artists on show such as Greta Berlin whose steel sculptures often deal with a feminine struggle and liberation alongside young artist Rachel Dunford whose photographs are as bold and iconic in their depiction of women as they are sensitive. 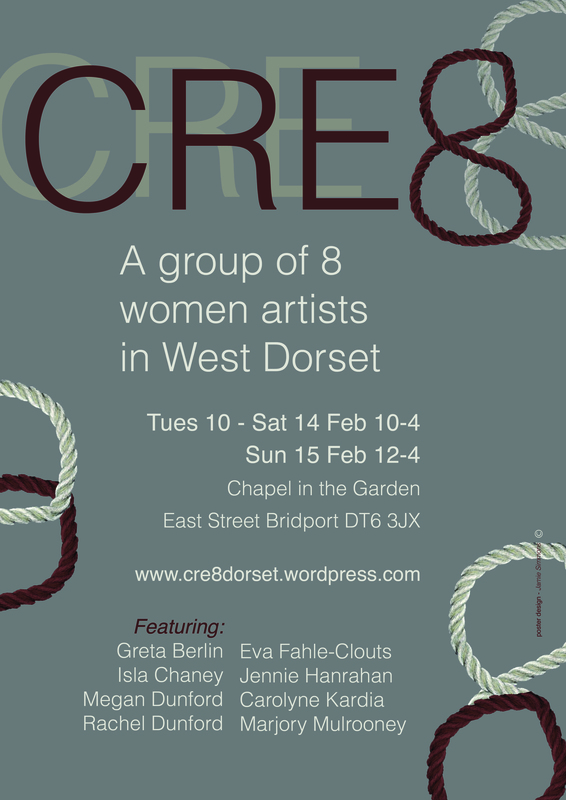 This is a fantastic opportunity to see some new, specifically made pieces alongside established and celebrated works from a selection of West Dorset Women Artists, whose material approach to their subject is interesting and different. We open Tuesday at 10am …hope to see you at some point throughout the week. Evening Event – Friday 13 Feb, 5.30 – 7. All Welcome. Please click on our Artist page above to find out who is taking part in this exhibition. We have some very talented female artists involved with a diverse range of work that will make for an interesting exhibition. We hope you can come! Hello and Welcome to our lovely Blog which has been set up to promote events with Dorset based artists. We are holding a very special exhibition in the New Year at Chapel in the Garden, Bridport. Look out for listings about this in the New Year as well as information on a special Preview Evening.